Activating the Uconnect App allows you to stay connected to your vehicle from afar. Using the app, you can remote-start your engine on chilly mornings in Sherwood, or lock/unlock your vehicle while carrying an armful of groceries. This app is available for new vehicles from Chrysler, Dodge, Jeep, and Ram. Below, you’ll learn how to install the Uconnect App on your phone and the many ways it’ll make your life easier! What Can I Do with the Uconnect Application? Remote Vehicle Start: Use your smartphone to start your car ahead of time so you can jump in and go whenever you’re ready. Remote Locking/Unlocking: Lock or unlock your doors from afar so you don’t have fish for the right key in rainy weather or darkness. Vehicle Finder: Can’t find your vehicle in a crowded parking lot? The Unconnect App will tell you exactly where to look. Remote Horn/Lights Activation: Flash your car’s lights and sound its horn to make it easier to spot. Send ‘N Go™: Want to check out some fun things to do in Salem or Tualatin? Send destinations to your car’s navigation system via the app, and view directions on the Uconnect touchscreen. How Do I Setup the Uconnect App? Visit the App Store or Google Play and download the app. Select the Apps icon on your vehicle’s Uconnect screen. Your vehicle must be registered for Uconnect Access to use the app. Enter your email address and send to activate. SiriusXM® Guardian will send an activation link, allowing you to create your user profile. Once your profile is active, return to the phone app and login in with your email address and password. Once you’ve logged in with your credentials, you can explore the many features of the Uconnect App. Try Out the Uconnect App at Wilsonville Jeep Ram in Wilsonville! Want to learn more about the Uconnect App, or see how it works in person? 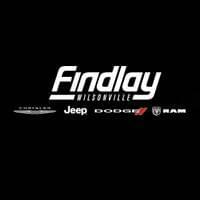 Contact us at Wilsonville Jeep Ram with questions or to schedule a test drive near Salem and Woodburn. We’ll help you choose a vehicle that’s properly equipped for your on-the-go lifestyle!